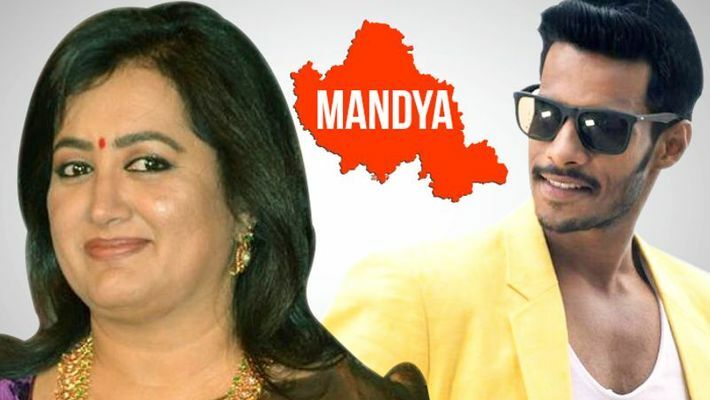 Bengaluru: With actress Sumalatha, wife of late actor-politician Ambareesh, deciding to contest the Lok Sabha polls from Mandya, Karnataka, with or without the support of the Congress against Nikhil Kumaraswamy of the JD(S), the BJP may gain advantage. Karnataka BJP general secretary CT Ravi opined that the BJP has now found base in Mandya and the party’s ticket aspirants are already doing the ground work. "Defeated candidate DR Siddaramaiah, IT man Srinivas, who returned from the US, and Madhuchandan, founder of Organic Mandya, have expressed interest to contest against the JD(S) in Mandya. The party supporters will be consulted before taking any further steps and as far as supporting Sumalatha is concerned, we will wait for all the political developments to unfold," said Ravi. The Congress, which had agreed to not field any candidate and support the JD(S) as per the coalition compulsion, says if Ambareesh's son Abhishek had asked for the ticket the party would have considered. "There is no point in Sumalatha asking for the ticket. Abhishek, Ambareesh's son only can carry forward the legacy of Ambareesh. The BJP may use this as an opportunity as they are known for fishing in troubled waters," said Congress spokesperson Kengal Shripadrenu. In November 2018 by-election to Mandya, the JD(S) candidate LR Shivarame Gowda got over 5 lakh votes. Considering the fact that Mandya is a JD(S) bastion, the BJP has made a remarkable improvement. At one point of time, the party used to get less than 50,000 votes in Mandya. However, in 2014, it witnessed a jump in votes. Prof B Shivalingaiah got 86,993 votes in MP elections and in November by-election, the BJP candidate DR Siddaramaiah secured 2,44,404 votes.